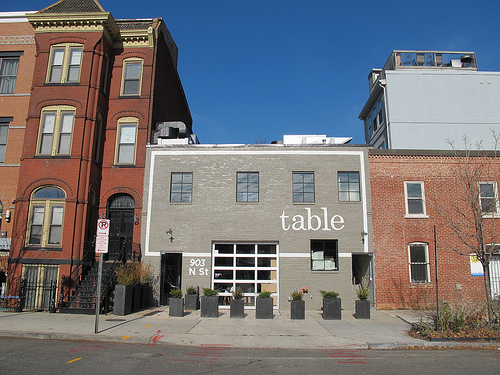 Chef Frederik de Pue, owner of 42° Catering, and former Executive Chef of Smith Commons is pleased to announce this Friday, January 18 as the official opening date for his breakout solo restaurant project, Table, located at 903 N Street NW in the Mt. Vernon / Shaw / Logan boundary neighborhood. Doors open at 5pm for dinner service. In anticipation of the celebratory atmosphere with the upcoming Inaugural and Federal holiday events, Table will also be open for dinner service on Monday, January 21st from 5-11pm, offering neighborhood residents and guests the opportunity to stop by and say hello, enjoy a glass of wine or try something on the menu before heading off to celebrate. On a longer term basis, Chef de Pue aims to make the 50-seat restaurant a neighborhood spot that favors open seating (no reservations are taken) as a place that offers a simple, intimate and reliable dining option with seasonal ingredients and simple preparations – all on view in the contemporary open kitchen on the ground floor. 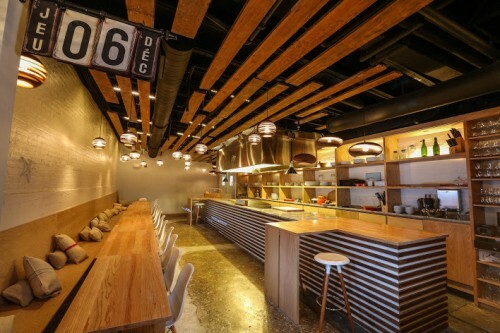 The menu will change to reflect product availability and seasonality, offering dishes like Burgundy Snails with White Beans and Spinach; Bison Hanger Steak, Garlic Frogs’ Legs and other rare or atypical DC menu items. Regular offerings include Mussels Provencal; Tagliatelle with Tomatoes, Ricotta, and Basil, and Hazelnut Fritters in Chocolate Lemon Sauce. 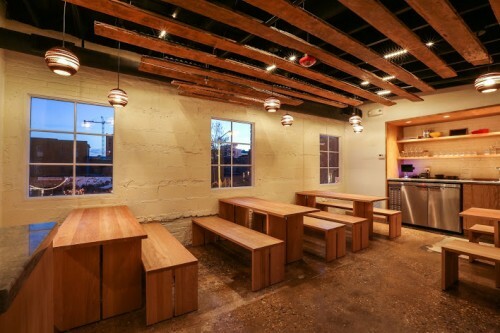 Table will also offer a selection of cheeses and charcuterie, in addition to wine and craft beer. (No full bar). Hours: Dinner service only. Tuesday – Wednesday, 5pm-11pm, Thursday – Saturday, 5pm-midnight, and Sunday, 5pm – 10pm. Closed Mondays. There are plans to add breakfast, lunch and weekend brunch beginning in February.